866-314-3081 Book a Free Consultation Today! The Web has truly pervaded all aspects of human existence. Everything and everyone is going online now, and the move towards a totally connected world is not “if” anymore, it’s “when”. Statistics show that up to 85% of the people who spend time online also purchase online. If you take the North American continent alone where more than 75% of the population have a broadband Internet connection at home, even if a fraction of these people buy online, it is still a huge market. 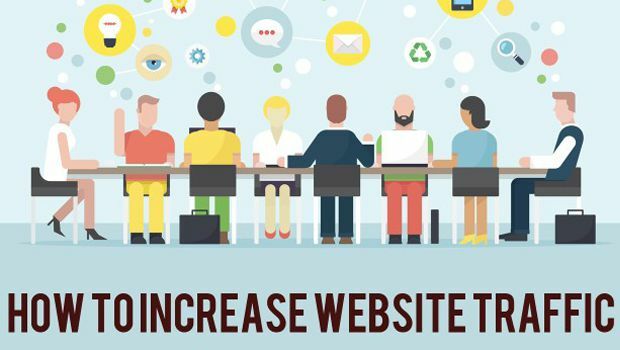 Website traffic is simply the number of people coming to your website. Online purchasing is also seeing tremendous growth and many companies are projecting a doubling of volume in just three years. If you take PayPal as a case in point, they have gone from $2 billion in payment volumes in 2002 to $16 billion in 2009 with revenues crossing $2.4 billion. Amazon is another case that you can take as an example. Considering that Amazon is the largest online retailer just looking at their total sales volume will show you that the trend in terms of online purchasing is only going up. When they were just starting out back in 2006, Amazon was about par with retail sales, since then they have posted higher growth rates, including during the recession years while retail sales has seen a steady decline in sales. Amazon has posted an average of 16% growth while retail sales have grown only by 2.5%. Online is where you will have to be in the future and whether you are selling something or just blogging about your thoughts, if you are serious about it you will have to do something to increase web traffic to your site. There are a number of ways in which you can do this. 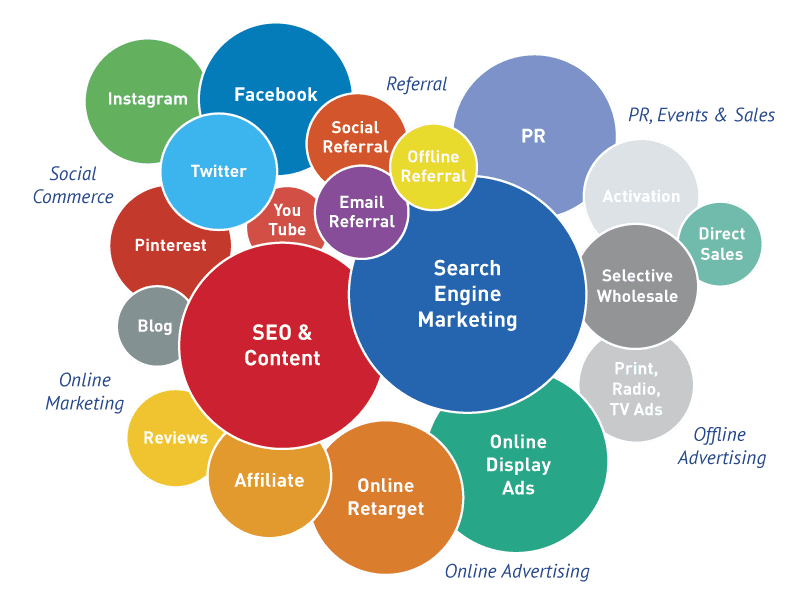 One of the most common things you hear is SEO or Search Engine Optimization, and while this is something that you have to keep in mind, there are a number of other things that you also need to think about. This guide is meant to help business owners who want to understand more about their websites and how to grow their online presence. Some of the tips may be a little complicated, but most of them are very simple and how popular your site becomes depends on how effectively you can bring them all together. The content that you put up on your website is one of the most critical things that you need to think of. In the same way that a store will do well only if they sell things that people need, you will get people visiting your website only if you give something that people are looking for. Of course it also means that you are entering a crowded market because genuinely unique niches are hard to come by. For most local businesses, such as a plumber or doctor, there are many people who put out great content so it can be hard to get noticed on your content alone. If you do happen to have a unique business with little competition, you are on to a good thing, but even if not, as long as you make the content appealing, you are sure to find readers. Do something that others don't do. For example, selling products or services online is catching on really fast, and you will find a number of sites with products that link back to the larger online retailers like Amazon or eBay. If you want to do the same, it is not that difficult, except that there is something that you will have to give that other websites do not offer. For example, if you offer a personal review of the product that you are selling you are sure to develop a certain number of loyal customers and as long as the reviews are informative and helpful you will only get more customers with time. There are other websites that offer the same thing, but most of them will have only a couple of lines that they probably found in other websites and copied. If you give information that is more detailed and specific, things that only a user would know, you are sure to make a hit. Keep people coming back for more! This does take more work and time, but unless you are willing to invest in good content, there is really no point in proceeding further. Make sure that you do your research. Even if you are only selling dog collars, as long as you give the pros and cons of each one honestly people will appreciate it. The goal should be to make the content such that people who even casually visit your site once will bookmark it and keep coming back. Keep it short and simple While writing your content, remember that just because you want to be informative you should not have long winded articles. Statistics show that to rank highly on Google your content needs to be between 2000 and 3000 words in length for most online articles. If you want to fill space in your site use other interactive content. Not only will this make the whole thing nicer to see and read it will also relieve the monotony of just plain text. Even if you do not have the expertise to create interactive content, just using bullet points and charts in-between text will break it up into smaller more easily read pieces. Let your personality shine through and stay who you are. Lastly, while writing, never lose your human voice. While writing it is easy to lose the personal touch that you give when talking and instead go for a more professional voice. The only thing that this will serve to do is to make visitors feel unwanted. This becomes more of a problem as you grow, because as you see more money come in you will start to streamline the content. You need to walk a tight rope here because it is very easy to lose what brought people to your site in the first place while doing this. The risk of changing anything is that just as there is potential for success, there is an equally good chance for failure too. One more thing that you should keep in mind when developing web content is that the more graphics you have, the more time it takes to load the page. While this may not be a problem with many people because they have a broadband connection, a number of people access the web through their phones and tablets, and heavy websites really slow down these machines when not on a wifi connection. Find that balance. Email Marketing, Newsletters and subscribers are a big thing in many websites. Websites ask people to subscribe to their free newsletters and keep sending out information every week or sometimes more frequently depending on the strategy that they follow. A few years ago, there may have been an issue with spam filters and emails being placed in junk folders. Today, this is still true but ISP are realizing the fact that newsletters are here to stay, so place newsletters and email info high on your list of to do's when feeding your subscribers. The theory behind email marketing is to provide great content that encourages the subscriber to come back to your website so you can continue to develop your relationship with them. You want your subscriber to see you as the authority and to look forward to receiving your email. Unfortunately, too many websites - especially the large ones like Amazon - send out junk that you don't want to read. You should send the subscribers value emails that encourage your subscribers to read them. When you do send out your emails and newsletters it is a good idea to get creative with content and the title of your email. Interesting titles create open rates, and open rates create revenue. Try to offer interesting titles which offer value. Depending on your business you should be able to work out what your subscribers want to read and what sells after some time of research. Give them the option. A better idea is to give the option to people to subscribe to an RSS feed. This gives them the option to either choose to subscribe or not which means that only genuinely interested people will. It will also give you a much more accurate idea of how popular your site is because most of those who subscribe will actually read what you have to say. You now have three good option for people to read your content. 1. RSS Feed 2. Email Newsletters 3. Your website content via bookmarks. Give value when you have your subscriber's interest, the best ways of generating interest is to give huge value. Don't just write rehashed information that is easily found in other places online. If you are recommending a particular software for a specific purpose give honest impressions that are not found elsewhere. You may think that this is too much to give away freely, but look at it this way. Open Source is catching on like blazes now, and there is a free alternative to almost everything, including Operating Systems. If you want to charge for your opinions as well as for the product that you sell, you will find that someone else is only charging for the product and is offering their opinions freely resulting in a movement away from your site. Remember, you are in competition with a lot of other websites and newsletters around the globe. Stand out to make a difference. This is easier said than done, but using experts is one of the most effective ways of generating traffic to your site. Whatever business you are in, unless you yourself are an expert, getting an expert to write articles for you is a good idea. Of course, not many experts will actually consent to write anything for you, which is where the previous point comes in. Most of these experts would be high standing members of the community and as long as you lay the groundwork properly and get connected, you can get their attention. Over time you can approach them about writing something for you, and even if they decline, you've not lost anything by asking. By becoming a respected member in the community you will just be making it that much harder for them to refuse you when you do ask. This is not something that you can do a couple of weeks after you start, or even a couple of months after you start. It takes time to earn a name, and even if you are not considered an expert in the field, as long as you make sure that you are a respected member in the community your chances are greater. Once you have an established website which offers some good content and has a reputable name, guest writers will come naturally. People will want to write for you, because of your search engine standings and traffic rankings. The more you grow, the more attention you will get from interested writers and invited writers. For example, if you want to start a website that recommends/sells software, make sure that you join a community where such software is discussed. Join as many as you can, and make sure that you participate. Help out others who ask for help and if you do this long enough it is the best way to get noticed. If you offer your time and expertise for free not only will those you helped directly come to your site the next time they want something, other members in your community will also link to your articles. Over time, some of them may even start recommending that their visitors visit your site. Helping others very rarely does not pay; it just takes time for you to see the results. All businesses revolve around metrics. You need details of how many people visit your site, how long they spend at your site, which pages are the most often viewed and many other details that will help you improve your site. There are a few different ways to do this. The most popular way is to use Google analytics. Google analytics is a free code that Google gives you that you have to put into each page of your website. This code runs every time a person visits your website and keeps track of everything from whether this was their first visit to how long they spend in each page. This is not a foolproof method because this system does not take into account people, who disable Java script in their browsers, but the number of people who do this is very small and in any case Google only uses 500,000 randomly taken hits for their metrics. Although Google analytics is the largest used website tracking software there are others too that you can use, both free as well as paid. There are issues with running such software starting with increased loading time, but they are getting better and better with each passing month. There are some websites that do not use Google analytics because the information thus collected can be accessed by others. By others, it does not mean retail customers, but for example Google itself retains this information for their uses. 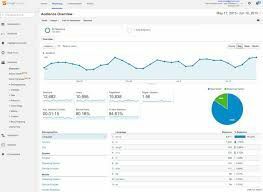 Large corporations are not comfortable with other companies gaining information about their websites and therefore do not go with Google, but for most of us analytics is an excellent resource for small to medium business owners. 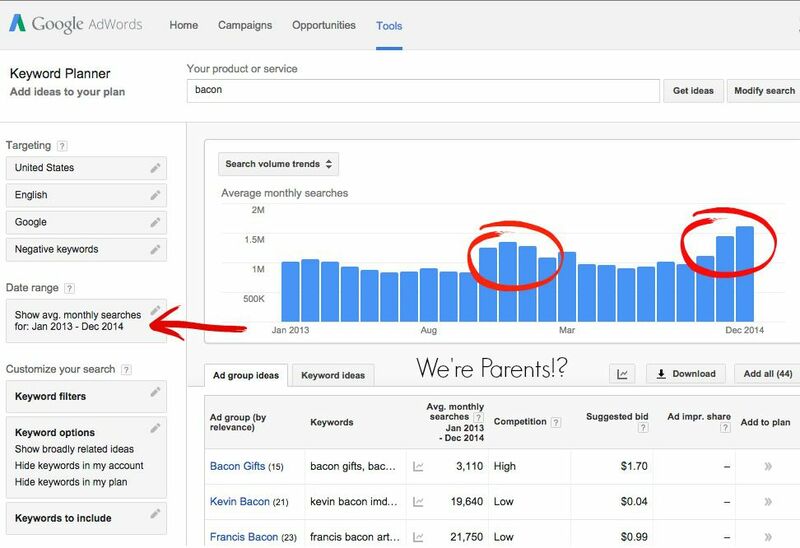 Keywords are the words that people use when searching for your business. For instance a keyword for a plumber may be "water heater repair" or "plumber near me." Using keywords is one of the most important things that you will have to do. First, you will have to decide what the keywords are that most people may use when they want to look for what you are providing. Think about the words people would use to find your site, and the more people who contribute, the more exhaustive the list is going to be. After you have narrowed down the general keywords that you think that people will be looking for, you can use specific software like Google's keyword tool, Yahoo's Overture Keyword selector tool, Wordtracker, Keyword Dictionary, Market Samurai or any other tool that you are comfortable with. Most of them are free to use and will give you a combination of keywords based on the keyword that you typed in. This will help you identify the best combination of keywords to use in your content because it will give you the search strings that are the most commonly used in relation to the word you typed in. Be dynamic, not static. This does not mean that once you write and post your articles you are finished. Keywords are very dynamic, and often, along with trends the search strings that are often used too often will change. You do not have to necessarily change the entire content in your site during times like this. Just making sure that you incorporate the new keywords is sometimes good enough. Remember, reviving old content is a great way to keep your content highly ranked. Don't overdo it. This may sound simple but in reality it is not. This is because you will have to walk a fine line between over-stuffing your articles with different keywords and with putting in too few. And even then most search engines are able to identify if the keywords come logically as part of the sentence or have been forced in somewhere where they are not suitable. Nobody knows exactly how the search engines do this as it is their trade secret, but suffice it to say that just because your article is full of keywords it does not necessarily mean that the site is going to get a better ranking. Often an article with the keyword appearing just once will pop up higher than one where it has been repeated a number of times. Keep this in mind when writing your articles, don't overdo it with the same key words. Google likes to read content like a reader, not a manufactured keyword hungry robot. Also never copy content, unless you are linking back to where you are copying from. All search engines are able to identify copied content and if it finds that your article is copied, you will even lose ranking because it will tend to push your site to the bottom of the pile. Original content, is always the best way to rank don't forget this. By Far the fastest way to get traffic is to pay for it. You need to go to places the traffic is already at like Google, Facebook, YouTube and others and pay to have your post placed in front of their visitors. To do this you need to know the keywords that your audience will be searching for and then send them to a relevant link on your website. Then you MUST have a call to action so that they will interact with you. This could be a subscribe for a free gift, or a drawing, or whatever. If you want to get more traffic and in turn more visitors to your website then reach out to us for a free consultation. We would love to help you grow your business. We have a 30 day success guarantee that if we don't provide you leads within 30 days we will refund you everything you spent including your ad spend and write you a $1,000 check for wasting your time. Thanks for reading, I hope it was helpful. Please reach out to us if you have any questions.